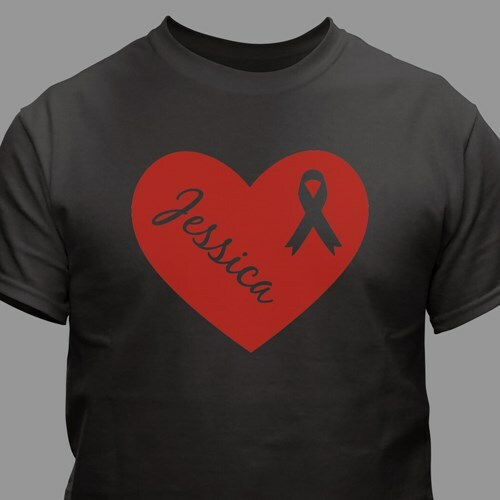 Show your support with this Personalized Heart Awareness T-shirt available in 5 Design color choices and Any name. This T-shirt is made is made of Premium 100% Cotton, machine washable, in youth sizes XS-L and adult sizes S-3XL. 4XL is available in white only. Create a special awareness T-Shirt for any upcoming walk or run, or just to show love & support for your cause.